THE FOLLOWING SWEEPSTAKES IS INTENDED FOR ENTRY IN THE 50 UNITED STATES AND THE DISTRICT OF COLUMBIA ONLY AND SHALL BE CONSTRUED AND EVALUATED ACCORDING TO UNITED STATES LAW. DO NOT ENTER THIS SWEEPSTAKES UNLESS YOU ARE 18 YEARS OF AGE OR OLDER AND ARE A LEGAL RESIDENT RESIDING IN THE 50 UNITED STATES OR D.C. AT THE TIME OF ENTRY. SWEEPSTAKES DATES: The “2017 RAM” Sweepstakes (the “Sweepstakes”) starts on January 1, 2017 and ends on December 31, 2017 (the “Sweepstakes Period”). HOW TO ENTER: Entrant must visit a Chrysler sponsored event (each an “Event”) on the designated Event dates in order to complete an electronic official entry form on a handheld device or an official paper entry form provided by a Chrysler representative at such Event. Entrant will receive one (1) entry into the Sweepstakes by completing an electronic or paper entry form. Dates of Events may be subject to change. You must complete and submit all required information to be eligible to enter. Entries having incomplete information will be disqualified and ineligible to win. Limit one (1) entry per Entrant for the entire Sweepstakes. Entrants may not enter with multiple names or addresses nor may Entrants use any other device or artifice to enter multiple times. Any Entrant who attempts to enter with multiple identities or uses any device or artifice to enter multiple times will be disqualified and forfeits any and all prizes won, in Sponsor’s discretion. All entries become the property of Sponsor and will not be acknowledged or returned. You need not be present to win. You do not need to complete a test drive in order to enter. ELIGIBILITY: Sweepstakes is open only to legal residents of the fifty (50) United States and the District of Columbia, who are eighteen (18) years of age or older and have a current valid U.S. driver’s license issued in their name (the “Entrant”). The Entrant who is selected as the grand prize winner (“Grand Prize Winner”) must have: (a) a valid U.S. driver’s license; (b) a unique, personal and valid Social Security number (so that Sponsor (defined below) can report the tax liability associated with acceptance of the grand prize (“Grand Prize”) to the Internal Revenue Service (“IRS”); and (c) a certificate evidencing automobile liability insurance coverage at the time the Lease (defined in the “GRAND PRIZE” section below) is signed. Valid Social Security numbers will be determined by IRS requirements as further defined in the “PRIZE CLAIMS” section of these Official Rules. Employees and directors of FCA US LLC (“Sponsor”) and their subsidiaries, and each of their respective parent companies, affiliates, contractors, consultants, legal counsel, public relations, sales representatives, retailers, and any advertising or promotion agencies who are under contract or have performed work on behalf of Sponsor during the Sweepstakes Period or in connection with this Sweepstakes, including the National Sweepstakes Company, LLC (the “Independent Administrator”) (collectively, the “Sweepstakes Entities”), and the immediate families (parent, child, sibling and spouse of each) and members of the same household of each of the above, are not eligible to enter or win. Sweepstakes is void outside the fifty (50) United States, D.C. and where restricted or prohibited by law. Entrants who have previously won a prize in any -Sponsor-related sweepstakes and/or contest in the twelve (12) months prior to the start of the Sweepstakes Period are ineligible to enter this Sweepstakes. Eligibility will be determined by Sponsor and/or Independent Administrator in its/their sole discretion. WINNING/ODDS: The Grand Prize Winner will be selected in a random drawing that will be conducted on or about January 18, 2018 from all eligible entries received during the Sweepstakes Period. Odds of winning depend on the number of eligible entries received during the Sweepstakes Period. 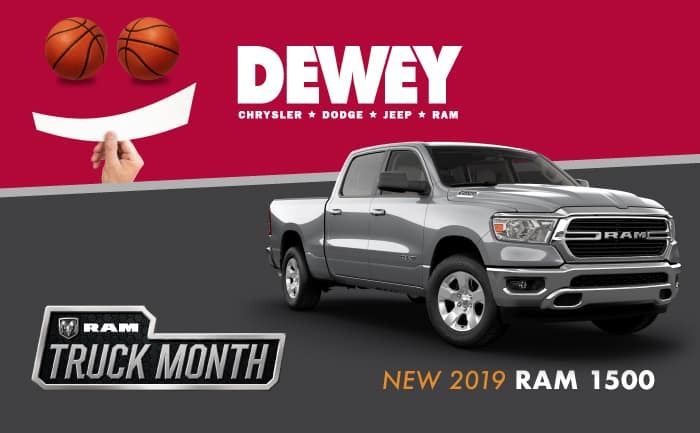 PRIZE: One (1) Grand Prize of a twenty-four (24) month lease of a 2018 Ram 1500 Big Horn 4×4 automobile (the “Vehicle”) will be awarded to the Grand Prize Winner. The manufacturer suggested retail price (“MSRP”) of the Grand Prize is $47,000 and the total value of the twenty-four (24) month lease is $15,000. All applicable federal and other local taxes, title, registration, licensee fees, as well as any and all other costs/expenses associated with registering, using, and claiming the Vehicle are the sole responsibility of the Grand Prize Winner. The Vehicle displayed in any advertising or promotional materials may not be the exact Vehicle awarded. Lease (defined below) includes the first twenty-four thousand (24,000) miles during the twenty-four (24) month period. Any additional Equipment and/or Accessories that the Grand Prize Winner would like to include in the Vehicle will be at his/her sole expense. All miles exceeding twenty-four thousand (24,000) will be the Grand Prize Winner’s sole responsibility per the Lease (defined below). Color of the Vehicle, Equipment and Accessories of the actual Grand Prize awarded will be at the Sponsor’s sole discretion. The Grand Prize Winner will be required to sign a motor vehicle lease agreement (the “Lease”) which will govern all terms and conditions of his/her use, operation and possession of the Vehicle, with the sole exception of Vehicle payments for the twenty-four (24) month term of the Lease, and the Grand Prize Winner must comply with all terms and conditions of the Lease during the twenty-four (24) month term. The Grand Prize Winner must be available to sign the appropriate documentation on the date indicated by the Sponsor or the Grand Prize may be forfeited, without compensation of any kind. 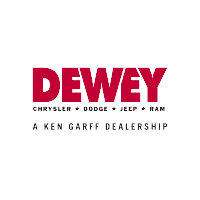 Once verified, the Grand Prize Winner will be required to pick up the Vehicle at a local Chrysler dealership specified by Sponsor, subject to any other terms provided herein. Grand Prize Winner must provide evidence of legally-required automobile liability insurance and a valid US driver’s license in his/her name at time the Lease is signed in order to take delivery of the Grand Prize. The Grand Prize Winner shall be solely responsible for all travel or transportation costs, associated with winning the Vehicle, except as otherwise provided herein. If, after acceptance of the Vehicle, Grand Prize Winner violates the terms of the Lease, as determined by Sponsor (or Sponsor’s financing affiliate) in its sole discretion, Sponsor may take any and all available legal sanctions against the Grand Prize Winner as if he/she were any other Lessee of the Sponsor (or Sponsor’s financing affiliate). Should Sponsor (or Sponsor’s financing affiliate) pursue such legal sanctions, Sponsor will deem the Grand Prize forfeited by the Grand Prize Winner without further obligation to the Grand Prize Winner and; (a) Grand Prize Winner will be required to return the Vehicle to the Sponsor (or Sponsor’s financing affiliate at Sponsor’s sole discretion); or (b) (provided that Grand Prize Winner is still in possession of the Vehicle, as determined by Sponsor in their sole discretion) Grand Prize Winner will owe in full payment for all remaining months of the twenty-four (24) month Lease Period and will be responsible for any and all other damages assessed by Sponsor (or Sponsor’s financing affiliate). Any difference between the stated value of the twenty-four (24) month lease of $15,000 and the actual value of the twenty-four (24) month lease as of the date of receipt of the Vehicle will not be awarded. In accordance with the terms and conditions of the Lease, all service, parts, materials and repairs in connection with the use and operation of the Vehicle during the term of the Lease, including but not limited to gasoline, oil, batteries, tires, tubes, repairs or maintenance arising from any misuse or negligent use of the Vehicle, and/or towing are at the Grand Prize Winner’s expense. All manufacturer’s recommended maintenance services found in the Owner’s Manual provided by the manufacturer in connection with the use and operation of the Vehicle during the Lease term, including all service and maintenance required by the manufacturer’s warranty, will be done or caused to be done by the Grand Prize Winner at his/her sole expense at an authorized Chrysler dealership. In accordance with the terms and conditions of the Lease, the Vehicle shall not be used where excessive mileage and/or misuse alters the condition and/or value of the Vehicle for resale and the Vehicle shall not be used or operated in a negligent, improper or unsafe manner, or in violation of any Law, or in any manner as to void any insurance covering same. No modifications or alterations shall be made to the Vehicle during the term of the Lease. To the extent there are any modifications or alterations to the Vehicle, including without limitation any replacements, substitutions or additions of parts or equipment to the Vehicle, all said items shall be accessions to the Vehicle and shall become the sole property of Sponsor. Upon expiration or termination of the Lease, the Grand Prize Winner shall return the Vehicle, in the same condition as received (reasonable wear and tear excepted) to the Sponsor as further defined in the Lease. No substitution or cash redemption of Grand Prize, except at Sponsor’s sole discretion or as otherwise stated herein. Sponsor reserves the right to substitute the Grand Prize with a prize of comparable or greater value. Grand Prize is not transferable prior to award. No more than the number of prizes set forth in these Official Rules will be awarded. The Grand Prize, if accepted by the Grand Prize Winner, is taxable as income and all taxes associated with the Grand Prize (including but not limit to income taxes) are the sole responsibility of the Grand Prize Winner. NOTIFICATION/CLAIM: Except where prohibited, Grand Prize Winner will be notified via the email address or any other available contact source the Grand Prize Winner supplied at the time of entry (the “Notification”). Grand Prize Winner will be required to complete and return an affidavit of eligibility, liability/publicity release and W-9 form (collectively the “Paperwork”) within five (5) business days of receiving the Notification. Grand Prize Winner must return the Paperwork within the date and time indicated in the Notification. If the Grand Prize Winner fails to return the Paperwork within the date and time in the Notification, or is found to be ineligible, or if he/she does not comply with the Official Rules, such Grand Prize Winner and his/her entry will be disqualified and an alternate Grand Prize Winner will be selected from the remaining eligible entries received during the Sweepstakes Period. If the Notification is returned as undeliverable, this will result in disqualification and an alternate Grand Prize Winner will be selected. The value associated with the Grand Prize will be taxable as income and the Grand Prize Winner is solely responsible for any taxes, including, but not limited to all applicable federal, state and local taxes that become due with respect to the value of the respective Grand Prize. The Sponsor must report the value of the Grand Prize to the Internal Revenue Service in the year the Grand Prize is received by the Grand Prize Winner and will be reported to the Grand Prize Winner and the Internal Revenue Service in the form of a Form 1099. CONDITIONS: As a condition of entering, Entrants agree (and agree to confirm in writing): (a) to release and hold Sponsor and any Sweepstakes Entity, harmless from any and all liability, loss or damage incurred with respect to the awarding, receipt, possession, and/or use or misuse of the prize; (b) to waive all rights to claim, punitive, incidental, consequential, or any other damages, other than for actual out-of-pocket expenses; (c) all causes of action arising out of or connected with this Sweepstakes, or any prize awarded, shall be resolved individually, without resort to any form of class action; and (d) any and all claims, judgments, and award shall be limited to actual out-of-pocket costs incurred, excluding attorneys’ fees and court costs. By entering the Sweepstakes, Entrants agree: (a) to be bound by these Official Rules and the decisions of the Sponsor and Sweepstakes Entities, which shall be final and binding, and (b) that the Sponsor and Sweepstakes Entities are not responsible for and shall not be liable for: (1) any incorrect or inaccurate information associated with the Sweepstakes, whether caused by any person, tampering, hacking, or any of the equipment or programming associated with or utilized in the Sweepstakes; (2) any errors, omissions deletions, defects in any materials associated with the Sweepstakes; (3) any design, typographical or other errors in any materials associated with the Sweepstakes; (4) garbled, incomplete, damaged, misdirected, late, lost, undelivered, or unprocessed entries; or (5) any condition caused by events beyond the control of the Sponsor which may cause the Sweepstakes to be disrupted or corrupted. Sponsor may prohibit an Entrant from participation in the Sweepstakes if Sponsor determines that said Entrant has acted in a manner that affects the administration, security, fairness or proper play or conduct of the Sweepstakes in any way, with intent to annoy, threaten or harass any other persons or the Sponsor. Sponsor reserves the right, in its sole discretion, to modify, cancel, terminate, or suspend all or any portion of this Sweepstakes should fraud, unauthorized human intervention, systems malfunctions, failures or difficulties, or other causes beyond the control of the Sponsor and its agencies corrupt or affect the administration, security, fairness or proper play or conduct of the Sweepstakes. Sponsor assumes no responsibility for any third party’s failure to act in accordance with Sponsor’s instructions pertaining to the implementation of this Sweepstakes. Except where prohibited by law, acceptance of a prize constitutes permission to use the Grand Prize Winner’s name, biographical information, and/or likeness for purposes of advertising and promotion in all media, including on-line worldwide, without limitation or further compensation (TN residents will not be required to sign a Release as a condition of winning the Grand Prize). PRIVACY NOTICE: Any personal information provided by Entrants will be used to administer this Sweepstakes and contact an Entrant for prize notification purposes. GOVERNING LAW: By entering, Entrants agree that all issues and questions concerning the construction, validity, interpretation and enforceability of these Official Rules, Entrant’s rights and obligations, or the rights and obligations of the Sponsor in connection with the Sweepstakes, shall be governed by, and construed in accordance with, the laws of State of New York without giving effect to any choice of law or conflict of law rules. By entering, Entrants consent to the jurisdiction and venue of the federal, state and local courts located in Monroe County, New York. WINNERS LIST REQUESTS: For the name of the Grand Prize Winner, send a separate, self-addressed, stamped #10 envelope postmarked by January 31, 2018 to: 2017 RAM Sweepstakes Winner’s List Request, PO Box 10505, Rochester, NY 14610. INDEPENDENT ADMINISTRATOR: National Sweepstakes Company, LLC, 80 Rockwood Place, Rochester, NY 14610. SPONSOR: FCA US LLC, 1000 Chrysler Drive, Auburn Hills, MI 48326. ABBREV. RULES: NO PURCHASE NECESSARY TO ENTER OR WIN. Ends 12/31/17. Open to legal residents of the 50 US and DC who are at least 18 years of age at time of entry with a valid US Driver’s License. Subject to full Official Rules available at each Event. Void where prohibited by law.